Welcome to Ransin Injury Law. 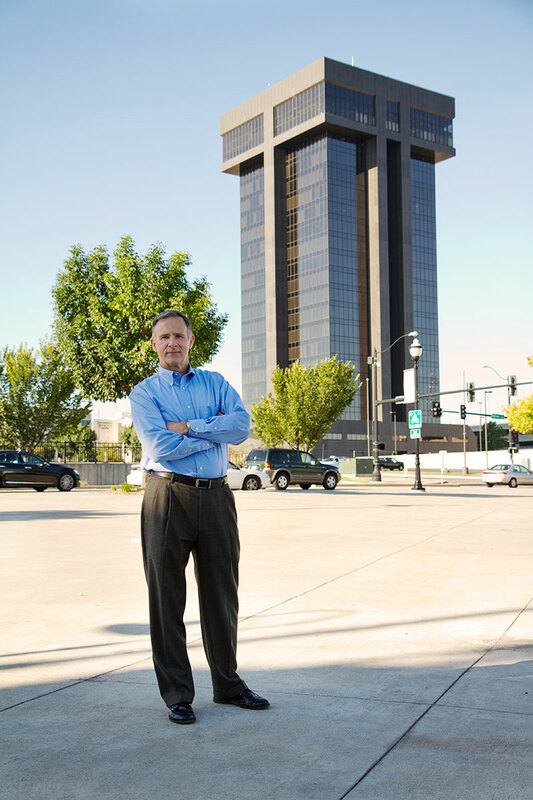 We are a personal injury law firm owned and operated by personal injury lawyer David W. Ransin in Springfield Missouri. For the last 34 years David has focused his legal career to only auto injury and personal injury cases, fighting for injury victims and their families. Our passion is helping our community receive fair compensation for their injuries. It would be a privilege to help you and your family. What Separates Ransin Injury Law from Other Law Firms? There are many great law firms that handle personal injury law in Missouri. At Ransin Injury Law, one of the main separation points from our peers is that when you hire Ransin Injury Law to handle your case, you will be working exclusively with David W. Ransin. Why is this important? Experience and focus are two extremely significant attributes you need displayed by your attorney. David has dedicated the last 34 years of his practice solely to personal injury cases. This focus and experience allow our clients to receive the highest level of expertise and knowledge for their case, as well as having the advantage of working strictly with David, never an associate attorney. We have helped thousands of hardworking people get the money they deserved and most importantly back to living their lives. How Our Experience Is Your Advantage? If the amount of money you receive from your accident claim was determined by the insurance company, there would be no opportunity for you and your family to plead your case. You have a unique set of circumstances; no two accidents are the same. By not allowing an experienced auto accident lawyer to represent you and your family, the insurance company will be able to create their own set of merits that will severely affect your ability to receive the full compensation you truly deserve for this accident. Too Injured to Meet at Ransin Injury Law’s Office? The sooner you call an attorney the more likely you, and your family will be able to recover the full compensation you deserve. That is why at Ransin Injury Law, we are a small injury law firm that believes in personal relationships; from the first call. David will personally meet with you at your home, hospital or other location that allows you to protect your legal rights as soon as possible. Our legal advice is free of charge. In fact, you never pay us a dime until we get you, and your family’s personal injury claim handled. The facts are that in a serious auto accident, the odds are stacked against you. You need to hire an attorney who has the knowledge and resources to represent you and your family and fight the insurance company so that you receive the full compensation you deserve, not what they offer. Call David, let him help you and your family today! Discover How Much Your Injury Claims is Worth! At Ransin Injury Law, attorney David W. Ransin would like to help you, and your family protect your legal right, discover how much money your case may be worth and give you sound legal advice from an experienced personal injury attorney with over 30 years of experience. All you need to do is call us at (417) 881-8282, our phone lines are monitored 24/7 so within minutes you will be receiving a call from David. Worried About the Cost of an Attorney? Don’t Be! At Ransin Injury Law, we offer free case evaluations, in fact; we offer our legal services on a contingency fee basis, meaning that you do not pay us a cent until we have a successful outcome of your case! So you can have peace of mind that you will not be adding legal fees to your ever-mounting financial hardships because of your accident. Simply pick up the phone and call David, who will promptly return your call and begin helping you and your family fight for the compensation you deserve. Statement from David Ransin “Over the past 35 years, I’ve helped hundreds of families work through tragedies involving one or more of their children, mostly from various types of vehicle crashes. In the last 15 years, this has begun to include children who were injured or killed by some type of abuse. 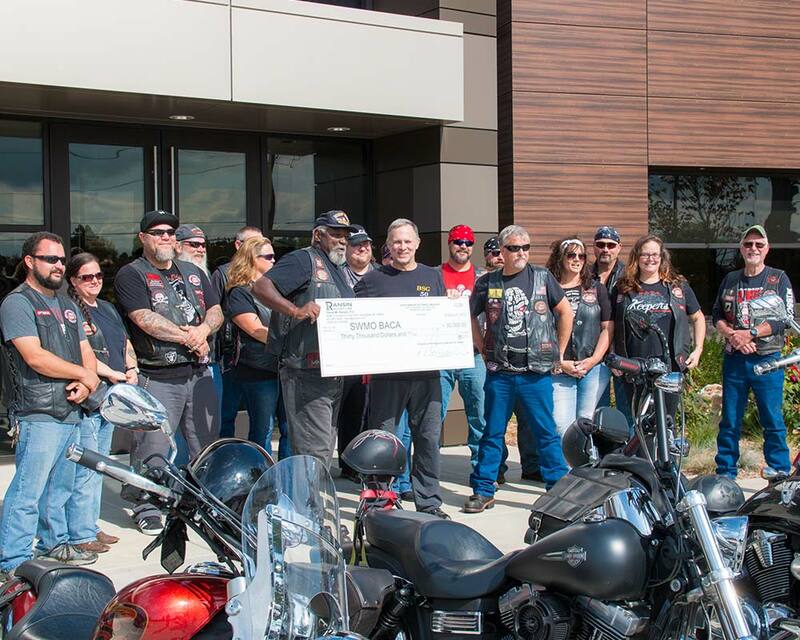 A large part of my practice has always included motorcycle riders, and it was while representing those clients that I was introduced to B.A.C.A., and learned for the first time what a great service the members of this volunteer organization provides behind the scenes for children who have been abused, and their families. The Crash: My client was on his motorcycle going through an intersection on a green light, and was hit by defendant’s car as defendant turned in front of him while trying to make the left turn on a yellow light. The collision caused him to be thrown off his motorcycle. He was hospitalized for 2 weeks, during which time he underwent multiple surgeries to repair his broken bones and fractures. The client was then in a rehab hospital for another 2 weeks before being released home, at which point he was non weight bearing and unable to work. Medical Bills: He had about $200,000.00 in medical bills as a result of his treatments. Case Summary: My client hired another attorney in town, but became unhappy with how the attorney was handling the case, so he decided to fire that attorney and hire me. I found out that the defendant had a minimum coverage policy, and the $25,000.00 limits of that policy were being offered by the insurance company. I brought the case to mediation and was able to get a 4.5 times higher settlement than what was offered by the insurance company. I also was able to negotiate with medical providers to get my client’s medical bills knocked down from $200,000 to $40,000. This allowed my client to save $160,000 just from his medical bills. “None of the people I have helped after serious injuries or deaths were involved in an accident. All of those crashes could and should have been prevented. Someone was speeding, drinking, distracted or just didn’t look twice. For over 34 years I have found purpose in my work each day fighting for the hardworking people in our community. My clients are more important than the money I make fighting for them. I work with clients who care more about getting back to their lives, rather than focusing on getting a big “payday” from their case. I was recently stopped by a stranger at the grocery store and they asked me, “why do you say you hope you never need my services in your TV ads?” Over the last several weeks I have been asked this question again and again. I thought it was important to share my response on my website so everyone could find understanding in this message. The short answer is my passion is helping to prevent carelessness that causes injuries and deaths to folks in our community. My devotion is to helping those who are unfortunate enough to suffer from the carelessness of others. This is why I say, “I hope you never need my services, but if you know someone who does I would appreciate if you kept me in mind.” Because this is how I truly feel. There is nothing more important to me than doing everything I can to help promote safety in our community. When you sit on this side of the table and have personally worked with so many good people who didn’t deserve what happened to them it really puts things in perspective. So please don’t drive distracted, take two extra seconds to look for motorcycles and buckle up. One of the most important aspects of our injury firm is that we provide our clients with unparalleled communication, personal relationships and the ability to create a dynamic partnership with our clients. Attorney David W. Ransin has spent over 30 years working with injury victims in order to help them fight for what is fair. We help clients recover monetary damages for their injuries at the full rate of compensation they deserve. We pride ourselves in this ability and have proven over these last 30 years that our law firm can help you do just that. Click below and be directed to our car/truck/SUV accident page. We showcase our knowledge as it pertains to auto accidents in Missouri. Click below and be directed to our wrongful death claims section. In this section we showcase our experience in helping families after a devastating loss. Click below and be directed to our car accident investigation section. Ransin Injury Law uses the latest technology to ensure we gather the facts. Victims of catastrophic accidents face serious personal injuries, including the potential for traumatic brain injury and spinal cord injury. These afflictions will not only require immediate medical attention, but often life-long rehabilitative care. 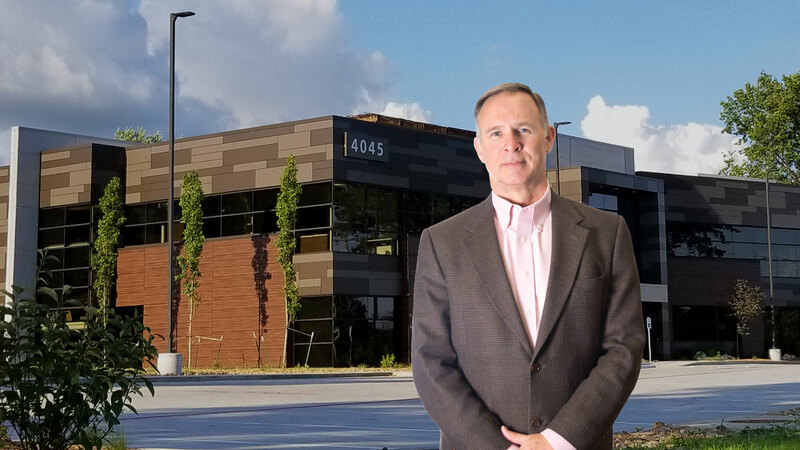 Ransin works closely with each of his clients to move the case forward efficiently so they can move on and have the best quality of life possible. As a client, only you can make the determination of whether an offer is in your and your family’s best interests, but Ransin will provide you with all the information and education you need to make an informed decision whether to settle your case or put it to trial for a fair result. 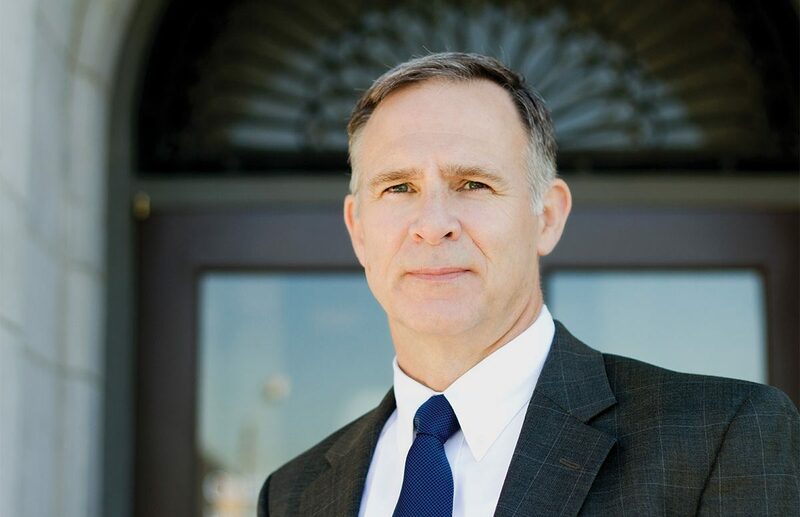 Unlike other attorneys, Ransin is not afraid to take a case to trial. By preparing the evidence from the very beginning, he is prepared to enforce his client’s rights to justice before a court of law and large corporations and their attorneys will not intimidate him. Contact our firm today for a free, no obligation consultation to evaluate the merits of your case and to learn what legal options may be available to you. At Ransin Injury Law we have been a proud supporter of Motorcycle Safety and Awareness for the last 30 years. David is a motorcycle enthusiast who enjoys trail riding. 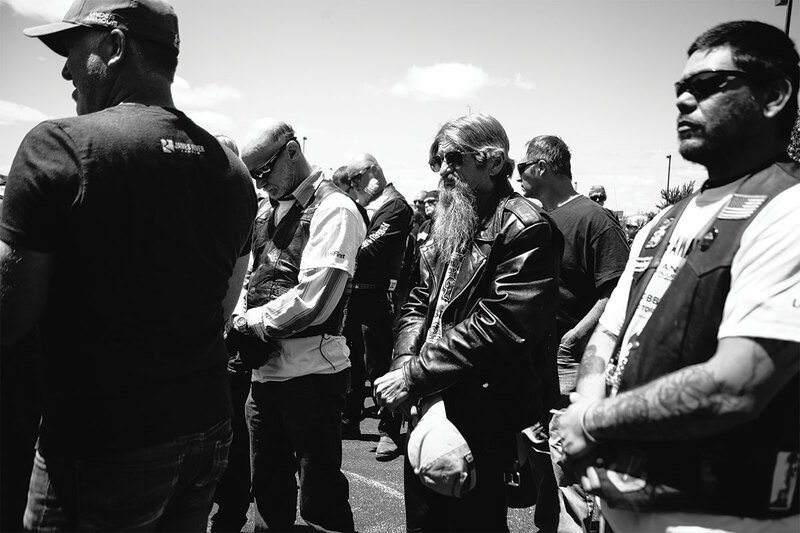 However, given his vast experiences in helping motorcyclists and families that have been forever affected due to the negligence of another driver, does not ride street. While we hope you never need our services, if you do, please continue onto our motorcycle accidents page. We also encourage you to read through our motorcycle safety and awareness page and watch interviews and view photographs from area riders. Click below and be directed to our motorcycle accident page. In this section we showcase our experience and knowledge as it pertains to motorcycle crashes. Click below and be directed to our motorcycle safety and awareness section. 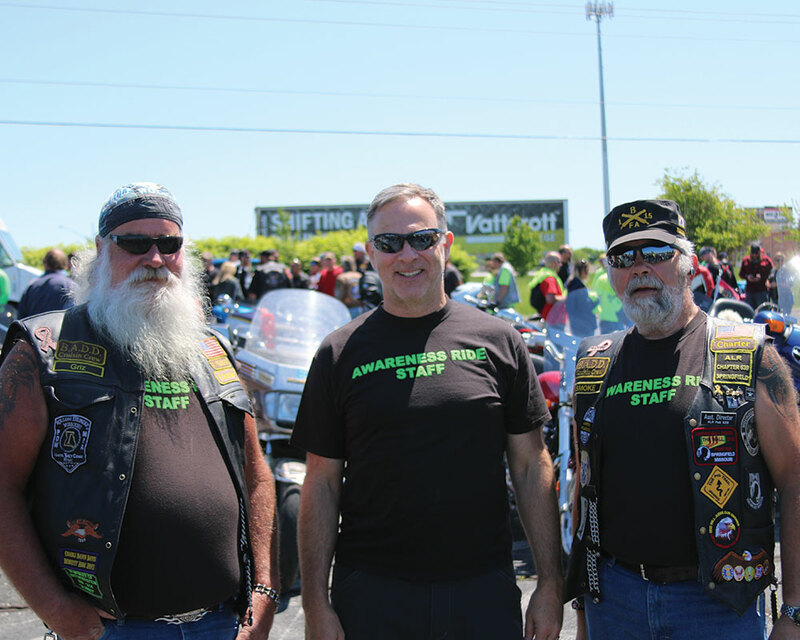 Ransin Injury Law proudly supports motorcycle safety and awareness. Click below and be directed to our motorcyclist interviews page. In this section we showcase rider’s thoughts on motorcycle safety and why they ride. What Ransin Injury Law does is help clients account for the most important aspects of their injury claims, present medical documentation and expert legal representation to the insurance company and showcase the comprehensive extent of damages. David had over 34 years of trial experience, so we prepare every case as though it were to be tried by a judge or jury trial. Injured by a Large Truck? At Ransin Injury Law, we have over 30 years of semi-truck and commercial vehicle case experience. In this time, we have developed the resources, and practices needed to fight large trucking companies and their insurance providers. If you or a loved one has been injured please take the time to read these selected pages to further your understanding of how we can help you recover and most importantly receive the full compensation your injuries deserve, not what the insurance company thinks is fair. Often, these cases are complex and require an experienced attorney. Please click to learn more. Click below and be directed to our semi-truck accident page. In this section we showcase our experience and knowledge as it pertains to trucking crashes. Click below and be directed to our semi-truck accident insurance section. There you will learn about the different factors insurance can have on your case. Click below and be directed to our trucking liability section. Educating you on the different liabilities truckers and their insurance providers have after a crash. The Reason You Haven’t Contacted David Yet Is…. You’ve been injured in a crash and you’ve never had to do this before, so you are not sure what to do. Find an experienced, hardworking personal injury attorney to represent all your interests and successfully bring this tiring and stressful experience to an end. So, you’ve made the decision to hire an attorney, but there certainly are plenty of attorneys in Springfield, Missouri, so you don’t know what to do. You’ve just spent several minutes reading my website to learn how I can help you, and now you are thinking about contacting me. Why is that? What is it about me and my personal injury law firm that appeals to you? If you have come this far I think it’s because you are the type of client that over many decades I have proudly and most successfully represented. You want a personal injury attorney who unquestionably has all the skills and has built a solid reputation and successful history by fighting hard for his clients in every case. You value open, straight talk and you expect and appreciate sincere business relationships. You want to put these problems behind you, and you want the burdens taken off your shoulders. You have reasonable expectations. You certainly don’t want the insurance company to take advantage of you, but you also don’t expect to get rich and retire off this crash; you just want what is fair. You want this resolved in a timely fashion ! I don’t accept every case that calls. I only represent clients that have been seriously injured in a motorcycle, bicycle, car, truck or pedestrian crash. That’s my expertise and that’s how my office’s reputation and resources are focused. But that’s not all. I only accept cases where my client suffered significant injuries, and I don’t mean just a simple stiff neck, sore back or a skinned knee. My clients require legitimate medical care and often surgery and ongoing therapy. Does this describe your situation? While I believe that it is my job to resolve your claim on the best terms possible, and it is your job to focus on getting better, you always will be informed of and involved in all major decisions regarding your case. I promise prompt responses to emails and phone calls. You will be fully informed about and comfortable with the way your case is progressing. Any attorney can file a claim or a lawsuit, that’s easy. Any attorney can ask the insurance company to make an offer, and then settle your case. What you need is someone who is able and willing to do the hard work to make sure the insurance company does the right thing, not just the easy thing. The insurance companies know who only bluffs, and who really goes all the way when it is necessary. If your attorney has no history of taking cases to trial by a jury on a regular basis, taking cases up on appeal, or going all the way to the Missouri Supreme Court when necessary, then your attorney lacks the reputation to get the top dollar settlement in your case. The goal is settle your case, but if all an attorney does is settle, never fighting all the way, then the insurance company knows it can get a discount since the attorney cannot or will not regularly back up their threats with real action, and real results. Those cases end up settling for less than full, fair value for the client. When your case is resolved, if you don’t have health insurance, or even if you do, you are now experiencing medical expenses that you hadn’t planned on. Our team can regularly negotiates lower medical costs meaning that your bills will get paid off, and the net value of your settlement or judgment will be greater. So there you have it. All that’s missing is you taking the first step. It’s your call…literally. Why not pick up the phone now and call 417-881-8282 or click on the blue “chat” button on the left side of this page. Make an appointment, no cost, no obligation. Meet me and my team and decide for yourself. That’s the first step in getting all this off your shoulders so you can focus on getting better, taking care of your family, and moving your case toward a successful, fair resolution. If you or a loved one has been seriously injured in a crash, you undoubtedly have questions. I would personally like to offer you the opportunity to personally meet with me. There we will spend at least an hour together going over your crash and making sure all of your questions are answered and most importantly the information you need to determine what your next steps will be.